Even if you take good care of yourself, get plenty of exercise and eat a balanced diet your kidneys may need attention. Unfortunately, there are not really any symptoms to tell you that you have kidney disease until the issue is quite advanced. But by taking care of your body, you are much less likely to have issues and it is also important to know what risks make it more likely for you to need to get kidney failure treatment. Some signs that you have kidney failure could include weakness, shortness of breath, confusion, lethargy, or swelling. These symptoms are caused by built-up waste products as well as excess fluid that the body is unable to get rid of. Other symptoms can include loss of appetite, difficulty sleeping, and puffy eyes. If you have any concerns at all, you should schedule an appointment with your doctor right away. Kidney disease is a very serious condition, and it is much more manageable when caught early on. If you have diabetes or problems with blood sugar or you have high blood pressure, you could be at a higher risk. You may also be at a higher risk if you have heart disease or if a close family member has kidney disease such as your mother or brother. A GFR blood test and a urine protein test will tell your doctor whether or not your kidneys are in good shape. In some instances kidney failure is treatable, and the kidneys can actually return to normal with the right treatment and if caught early enough. If you have chronic kidney disease, you will need to slow down its progression and to aid your kidneys to keep functioning for as long as possible. Your doctor will determine if you got kidney disease because of diabetes or high blood pressure and will prescribe medications. You may need to change your diet. If your kidneys do not work any longer, you will need dialysis which will filter your blood for you. You may also need to get a kidney transplant. If you need to get a kidney transplant, you may need to get on a waiting list until a match is found unless someone in your family is a match and can give you one. High blood pressure is a main cause of kidney disease, and you may need to take inhibitors such as Ramipril, Enalapril, or Lisinopril. 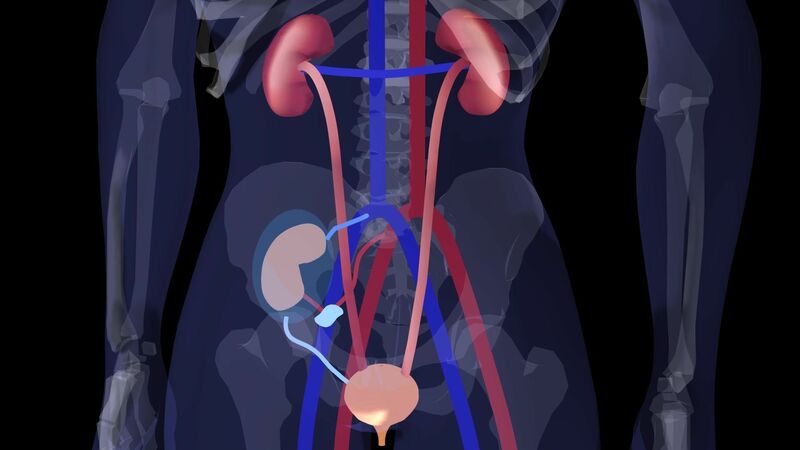 Your kidneys are very important, and they have many jobs. They manage the levels of electrolytes in the body, control blood pressure, stimulate the growth of red blood cells and rid the body of toxins. Kidney disease is considered to be a progressive disease which means that the damage that is done is pretty much irreversible. It is ideal to catch kidney disease in the early stages which can be difficult to do but not impossible. If you have diabetes, you will need to be especially careful and follow a stick diet as well as monitor your glucose levels. Many people may have difficulty figuring out which hair cut, or style is the best for their face shape, and personality. Appearance isn’t everything, but people notice. Look no further than this article for some great hair care tips that will help you convey your personality to the rest of the world! It is important to apply conditioner evenly throughout your hair. You should also, for best results, let the conditioner remain in your hair for a few minutes prior to rinsing it out. Do you have heartburn? Are you feeling extra bloated after a large meal? If so, you may have acid reflux. This condition affects millions of people around the world, yet many still don’t know how to treat it. Luckily, the following article has some tried and true methods to help you deal with your acid reflux. Try eating your meals slower. Due to the extremely fast-paced world we live in, we tend to always be in a hurry. This carries over to our eating, causing us to eat way too fast. This increases the odds that we will overeat, which can cause acid reflux. Instead, take your time while eating. Thoroughly chew your food, and put down your fork after every few bites. Stop eating once you feel comfortable, not stuffed. If you plan to exercise rigorously, drink lots of water while you work out. This not only hydrates you; it helps to aid in digestion. It also washes acid down and out of your esophagus, keeping it in your stomach where it belongs. If this still doesn’t help, talk to your doctor about medications. Avoid wearing clothing that is restricting around your abdomen. Wear your belts loosely and avoid pantyhose that are tight if at all possible. These articles could push on your stomach. This pressure on the abdomen could easily lead to heartburn. You may have to do some sit-ups each day to avoid buying new pants and skirts that fit properly. Limit the amount of liquid you consume with all your meals. Too much liquid can cause the stomach to become much too full, which increases your chances of suffering from acid reflux symptoms. You should only allow yourself to have small sips of water in between your bites of food. When you complete your meal, do not lie down on your back or stomach. This position uses gravity to build up acid in your stomach, which is one of the main reasons why you get acid reflux and heartburn. Walk around your home or do the dishes after you eat to prevent this from happening. Massage is truly one of life’s great joys. This means that to give one, one must know all there is to know about massages. You also need to know what goes into locating someone that does them correctly. Keep reading to learn more about how massages can benefit you. If you experience recurring pain in your muscles, buy a book that explains trigger points, or visit a masseuse who can teach you neuromuscular therapy. Tight muscles often develop knots or trigger points. Trigger points send pain to different locations in your body, which is why a back injury can cause pain in your buttocks and legs. Reading up on trigger points will allow you to properly recognize them and treat them when you encounter them. Try not to eat before getting a massage. It is easy to feel bloated or uncomfortable after eating, which can make lying down for a full massage session difficult. If you must eat, make sure to let your body digest your meal first. Therefore, you’ll feel the most comfortable during your massage, which will provide you with the most enjoyment. Tailor your massage techniques to each individual. If you see that a certain area is giving off a positive response, stay in that area during the massage. Understanding people’s tendencies is very important when massaging. Visit a licensed therapist only. A licensed massage therapist has been properly trained and is better suited to treat any of your needs. Hiring a professional will guarantee a specific professionalism advocated by the person’s industry. No matter the reason you have them, stretch marks are a bear to get rid of. Giving those areas a massage with coco butter everyday will help those stretch marks disappear. Do this religiously, and your stretch marks should disappear over time. Do a little self-massage to work out kinks. Gently push your thumbs into the skin on your body. Begin with the toes, and work your way up. This will help you feel more ready for the long day that’s coming. If you do it before you fall asleep in the evenings, you can help prepare yourself for a restful night’s sleep. If you get sick every time a friend or coworker does, there is hope for you! Massages help to increase the amount of helpful white blood cells your body makes. White blood cells help your body to fight off viruses that are responsible for making you sick. Where should you rub when you’re giving yourself a massage? Where it hurts! Begin by rubbing your achy areas and go outward. If you discover a new place that has pain, rub it as well. Stop when you do not feel the benefit anymore. After every meal, you should give yourself a massage. To do this, place your palms on your stomach and move in a circle. This serves to help with digestion and push food through your intestines more easily. Learn About The Benefits Of A Healing Massage! Would you like to learn how to give better massages? Are you unsure of yourself when it comes to massages? If you do not, then you should continue to read to learn something about it. You may be amazed at how various simple massage techniques can improve how you deliver massages. If you are suffering from back pain and traditional back massages are not alleviating the pain, try a hand massage. Firmly press into the meaty area between your thumb and index finger and gently massage. This type of massage is especially effective for muscle spasms and pulled back muscles. Schedule your massages smartly. If you usually get sleepy after a massage, you should avoid getting one before you have to go to work. However, if massages help you get some energy, do not hesitate to schedule a massage before you have to go through a stressful day at work. Asian massages are known to help relax the body. One not-so-common, but very relaxing Asian massage is called the Indonesian-Javanese massage. With this method, the therapist will use both their hands and knuckles to get so deep into the skin. This will help your muscles relax if they were tense. When you’re stressed out or feeling emotional, aromatherapy massage is for you. The therapist will use essential oils while massaging your skin. They know exactly which oils will give you energy, relax you or help to bust stress. Lavender is frequently used to calm your mind and body, allowing you some peace. Massage has been found to help people who suffer from mental disorders, not just physical conditions. Having a massage not only relaxes the body, but the mind as well. This can really help to reduce anxiety and depression in people who suffer from these conditions. Regular massages can really help your mental well-being. Do not forget to stretch before and after you receive a massage. A massage will be more efficient if your muscles are already warm and you will have more energy after your massage if you take a few minutes to stretch your muscles. Besides, stretching is an efficient way to relieve muscle pain. Recover slowly after enjoying a massage. Hold off on immediately jumping up from the table as soon as the masseuse leaves the room. Take a moment to luxuriate in the warm, relaxed feel of your body. Open your eyes, take in your surroundings, and then slowly sit up on the edge of the table. Rest a moment before standing. If you need to relax, you should try making time for a massage. A great massage can be relaxing and rejuvenating for anyone. Learn more about how massages can help, where to get them and even how to give them in the tips that follow. Make sure the person you give a massage to is comfortably installed. Ideally, you should use a massage table or at least a comfortable mat. If you do not have this equipment, have the person lay down on a comfortable couch or a supportive mattress. Make sure their head is properly supported. After you give a massage to someone, make sure that they take a warm bath. This will help to further the effect of the massage and soothe the muscles even more. After this person takes the bath, they will feel more refreshed and looser then they ever had in their entire life. When you are giving a massage, try to have the person you are massaging in as few articles of clothing as possible. If they are uncomfortable, they can wear a towel to feel more secure at all times. Having areas of the body exposed is not only soothing, but it also facilitates your job. After you have had a massage, it is very important to drink plenty of water. You will be sore because of the toxins that have been released into your system by the massage. If you drink water right after the massage, you can flush these toxins out of your system more quickly. If you cannot find anyone to give you a massage, you should try using massage tools such as head massagers or canes designed to massage your back. These tools are not as efficient as receiving a massage from a professional but they are a good solution if you cannot afford to go get a massage on a daily basis. If you notice your hair looking dry, there is a home conditioning treatment you can try. After washing your hair and squeezing out excess wetness, put the conditioner in and put on a cap for at least a couple of minutes. The heat that is created will force the conditioner to go down deep into your hair.